Go black, go chic, go modern and minimalist with the black Wasowsky dining chair. 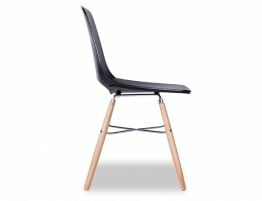 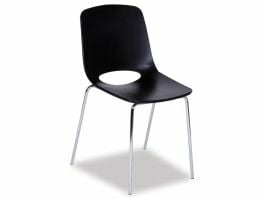 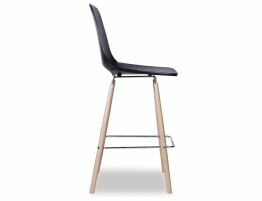 Bring the clean, contemporary look of this black modern dining chair to your home kitchen, casual dining room or busy café or restaurant. A black café chair offers all the style of any modern dining chair but black is so crisp looking and so easy to care for. 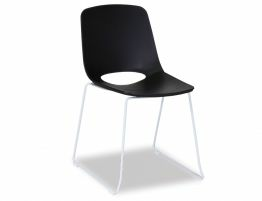 Pair this black café chair with natural toned tables or even a white café table. 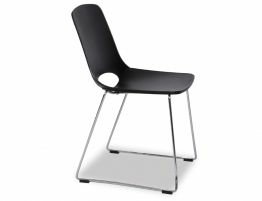 Create a space that captures your individual style.